Rated 5/5 based on 2 reviews. 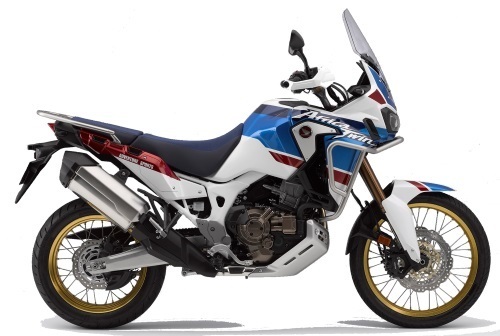 This is a DIY Extended Protection Film Kit for the Honda Africa Twin CRF1000L (2018-) Adventure Sports model. Some parts will be easy to install and others may be difficult. There is no refund or exchange on DIY Kits. Please ensure that you have read and agreed to our PURCHASING RULES before ordering this kit. I picked up an stunning 8 week old Tricolour Africa twin last month and on closer inspection noticed that it had already picked up a couple of stone chips. Like all newer vehicles, every time you wash it you notice more fresh marks and chips. I plan on using the bike off-road, but also plan on keeping it for a very long time and as such, want to keep the paint and bodywork looking as fresh as possible. After spending a couple of hours on the internet looking for paint protection for my new bike and visiting a couple of local vehicle wrap companies who weren't interested, I decided to go with Ozishield and I'm so glad I did. Whilst there are kits on the market closer to home ( UK ) they didn't seem to provide as much coverage as the Ozishield kit for around the same price point. With the company being based in Australia, I knew there would be a slight delay in delivery to the UK and customs charges to be applied but I didn't mind. The kit took approx 2 weeks to arrive and I must say , it was well worth the wait. 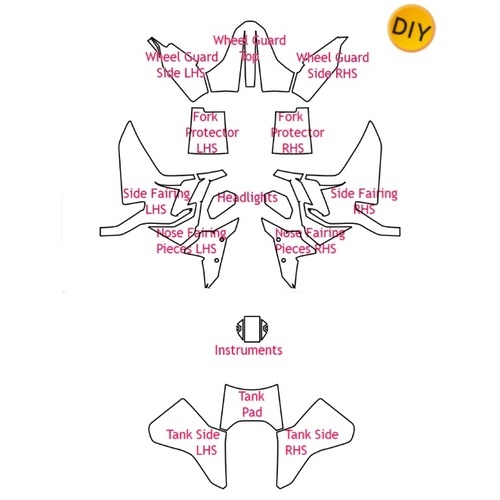 The kit comes supplied well packaged with comprehensive fitting instructions and detailed diagrams. They even send some baby shampoo to use as slip solution (this is the key to a good clean installation in my opinion ) Top tips. Clean the bike thoroughly before you start and pre clean all panels with panel wipe to degrease and remove any wax etc Watch the Ozishield videos on YouTube and follow the instructions. 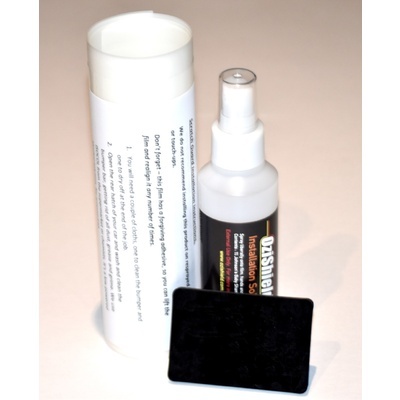 Spray plenty of slip fluid on the paint surface and as you remove the protection kit from the backing material. 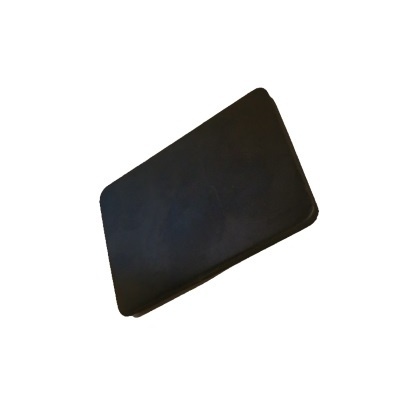 This is key as it prevents contaminants sticking due to static electricity. I have to say, the most important thing that I learned though was that you can never have too much slip fluid, particularly on the more difficult panels. Have patience, take your time and don't settle for "that's close enough" as this can throw the lines out on surrounding panels I can confirm that this kit is a perfect fit if you take your time, there's no rush when working with the kit, it won't go off and spoil. If your not happy with a panel and are struggling then remove it, take a break, grab a brew, calm down and and start again. I actually lost the plot with one of the rear panels and ended up screwing it into a ball with frustration and throwing it in the bin. The following day I decided to have another go and retrieved it from the bin, took my time to unscrew it, give it a clean under the hot water tap and managed to get it fitted perfectly. If I can fit this kit then anyone can. 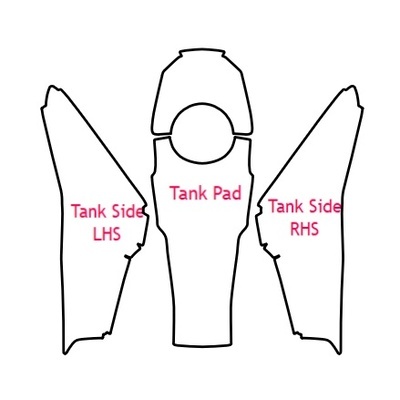 Start on the easier tank panels first and build some confidence. A hairdryer or heat gun are also handy tools when working over raised edges, just to help the film conform to the shape Anyway, the bike is all done now, I'll just reiterate that the kit is a perfect fit if you take your time and use plenty slip fluid. The kit is almost invisible when applied and is super tough ( I tried to trim a poorly fitted section before final setting and a brand new Stanley blade was struggling to cut through it, very impressive indeed ) Finally, the customer service is second to none. Ozishield is a small family run business and very customer focused, they keep you informed through every step of the ordering and delivery process. I contacted them by email with a fitting query and Terrance replied within 30 minutes with a concise answer to my problem. Just bear in mind the time difference though. So, just to summarise, a great quality product that fits perfectly, excellent fitting instructions, great communications and customer focused support. I'm so glad that I went with Terrance and the team at Ozishield. Well done folks and All the best from Bonnie Scotland. Protect my investment - well worth it. 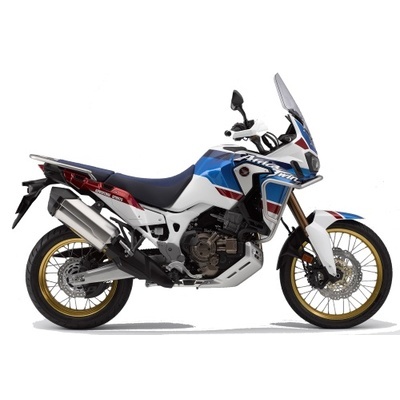 I purchased the full kit for my *new* Africa Twin Adv Sports '18 as i wanted to try to extend the life of the beautiful paint job from expected chips and scratches. This product seems like it will fit the bill, finish is great, clear, and you would never know it was there - pretty much. The instructions were comprehensive, and there is assistance online (youtube). I have never done this before, i was apprehensive, but i started on easy cutouts and worked my way to more difficult ones. The cutouts were all pretty much spot on in size - a few very minor trims required. 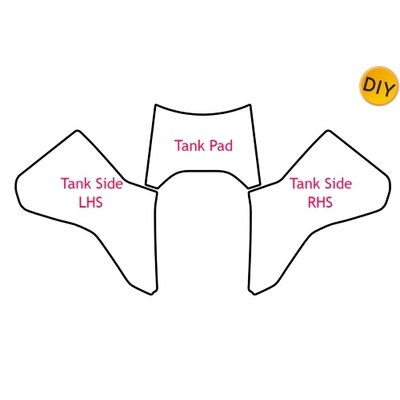 I found the tank kit cutouts to be especially easy to apply (should have started there first)! 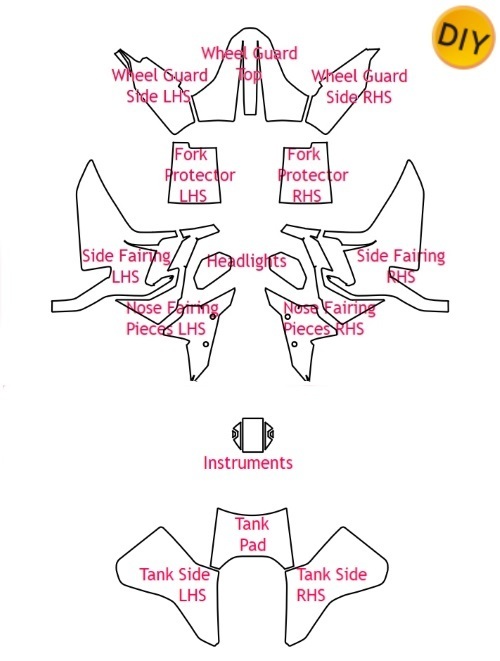 Only gripe, thought a few cut-outs for the side rear panels might have been able to be provided with the kit too. Overall an 'A' from me.